Participants enjoy free admission to the Chicago History Museum exhibits after the run. You're one-click away to a faster, upgraded race day! 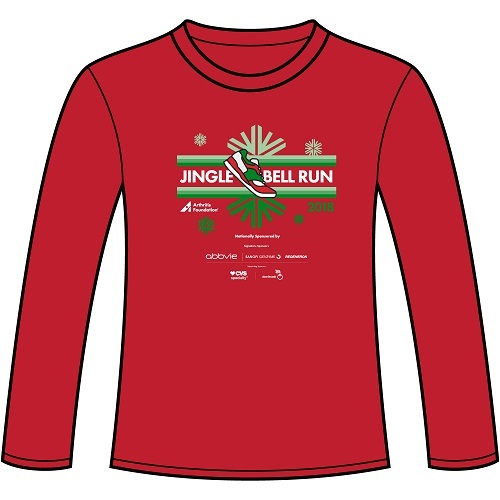 Includes express packet pick up and gear check, performance shirt, unique race bib, extra swag and jingle bells. Quantities are limited. When: Thursday, December 6 and Friday, December 7 from 2:00 - 7:00 p.m. BONUS! Chicago you’ll get $10 from Road Runner Sports to spend on anything you want in the store over $30! Or join the VIP Family and save 25% on everything! Don’t miss out on this exclusive gift when you pick up your packet in store. Restrictions apply. See store for details. If you cannot attend packet pick-up you may pick up your materials at registration on race day. Contact Caroline Passalino at cpassalino@arthritis.org if you are planning to pick-up packets for your entire team at packet pick-up. 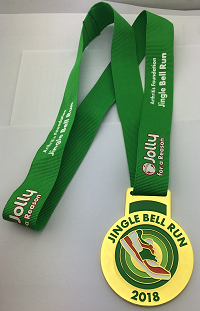 For more help or information about the 2018 Jingle Bell Run - Chicago, contact Caroline Passalino at cpassalino@arthritis.org or call 312-248-4593.